Kevin owns and operates his own minibus. He has launched his new minibus in May 2015. It's a Toyota make white air-conditioned minibus which can accommodate up to 15 persons. The minibus is quite spacious and comfortable. 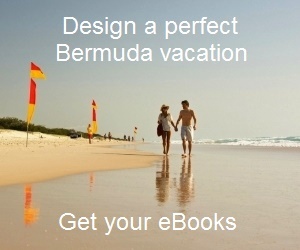 Kevin is himself a certified tour guide of Bermuda and quite knowledgeable about the island. The tours usually operate in a group on per person rate. His signature tour is the Total Island Experience Tour which can last for about 7 hours and covers almost all major highlights of the island including western, central and eastern areas. He is based out of Sandys which makes it easier for him to cater to the cruise ship passengers. He will be right there outside the cruise berth with a board if you booked him in advance. Even otherwise when his tour is not booked, he is often seen outside the wharf with a smile offering tours to the passengers coming out of the cruise ship. Other than showing you all the main attractions of the island (including beaches, churches, parks, forts, historic buildings and museums), his tour includes a lot of photo opportunities and he would stop to let you take pictures at many places. In fact in almost all his tours he would first stop next to the Somerset Bridge which is world's smallest drawbridge and ask the guests to go and stand on the bridge. He will then go down to a small parkland below and take a picture of the group. Another good part of the tour is the flexibility. So depending on your choice you can also ask him to customize the tour and focus on certain attractions more than the others. Well if it's a group tour on per person fare, then such customization should be acceptable to all. Along the way Kevin will tell you a lot about Bermuda, the history of the island since early 1600s and how the relationship between the island and the US flourished over time along with tourism. Mid way through the tour you will stop at one of the island's authentic and old-time favorite restaurants for lunch such as the Swizzle Inn Pub in Baliey's Bay (Hamilton Parish) or Cafe Ole. Kevin has also introduced an Evening Tour which operates for four hours and covers many of the attractions of the Total Island Experience Tour. Here too you will cover almost the whole island but in shorter time. The tour operates on few days of the week, and departs from the dockyard at 4pm and returns at 8pm. Apart from island tours, Kevin also offers beach drop and pickup, direct transport to any place in the island, round trip harbor night shuttle from dockyard to Front Street etc. The tours operate Monday through Saturday (8am to mid-night). No tours on Sundays. The evening 4 hour island tour costs $40 per person (does not include food or admission fees). For the Total Island Experience Tour, write to him with your group size.